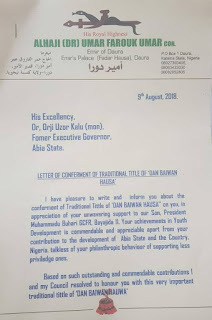 Home News Orji Uzor honoured with "Dan Baiwan Hausa". 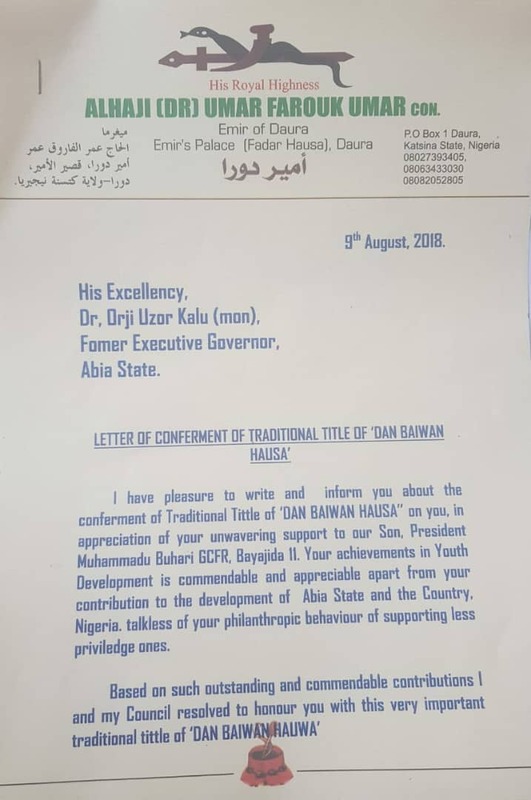 Orji Uzor honoured with "Dan Baiwan Hausa". 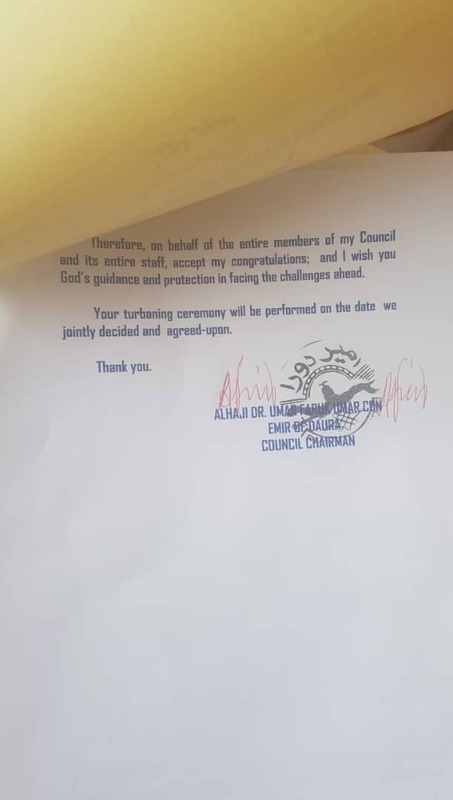 Former governor of Abia state, Dr. Orji Uzor Kalu was on Thursday, 9th August, honored with the traditional title of "DAN BAIWAN HAUSA" by HRM Alahji Umar Farouk Umar. This title was given due to his constant support of President Muhammadu Buhari, Youth Development, the contribution of Development in Abia state and Nigeria.